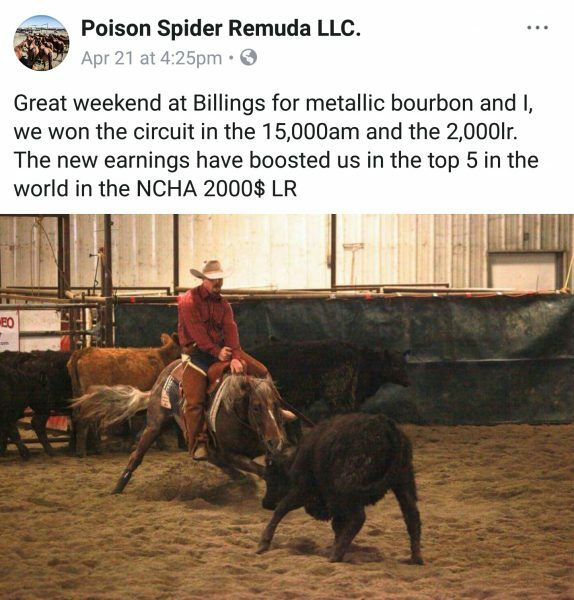 Texas cowboy and horseman Shaun Strickland, along with Texas ranchers, Tom Moorhouse and Johnny Ferguson decided to venture north to Wyoming and in 2015 they formed a partnership on Poison Spider Cattle Company. Poison Spider consists of two ranches west of Casper, Wyoming. 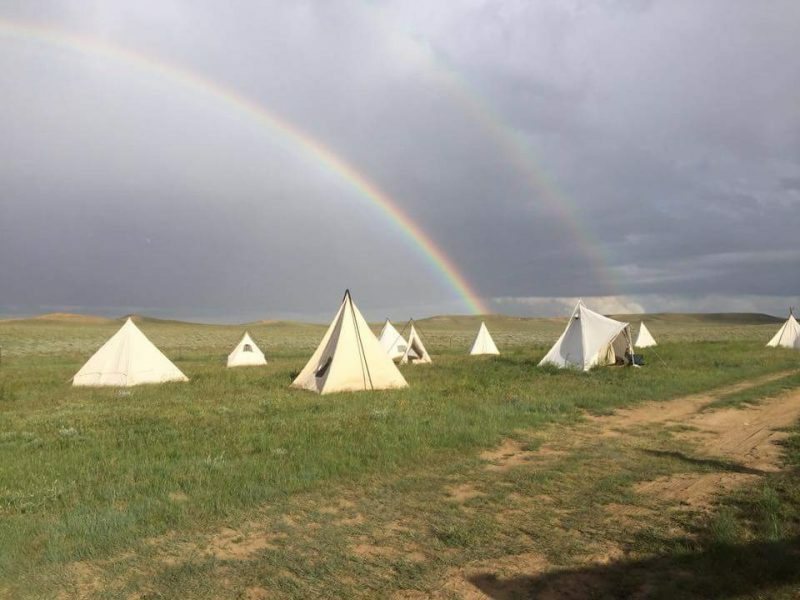 One being the Wild Horse Basin Ranch and the other Casper Creek Ranch. The rough and rugged landscape west of Casper is the type of country that makes good horses. 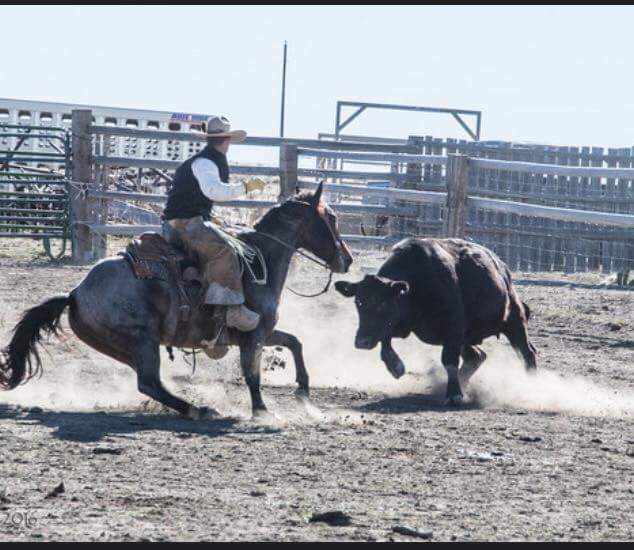 Shaun Strickland along with his partners at Poison Spider Cattle Co take pride in keeping traditions alive while forging ahead in the cattle and equine industries. Like many ranches did in the old days, the cowboys at Poison Spider continue to use the wagon in both spring and fall roundups. Shaun’s daughter visiting him out at the wagon. 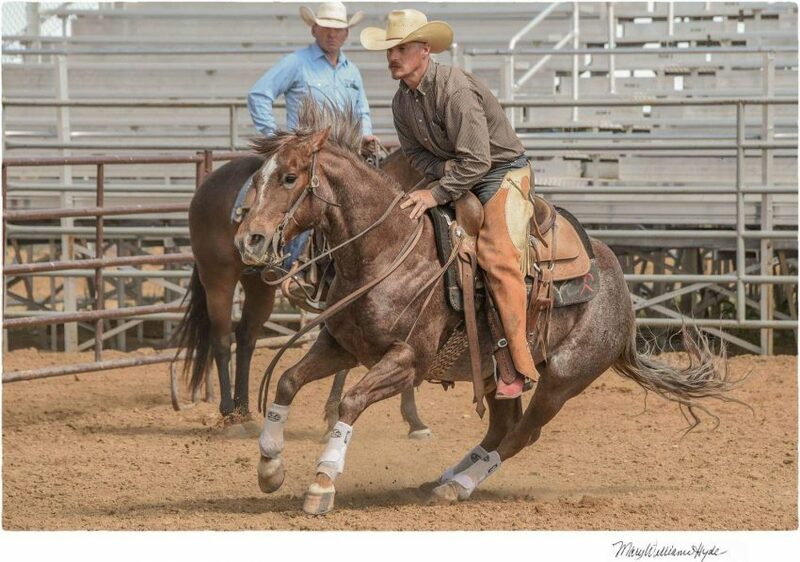 I have been very impressed every time that I have watched Shaun Strickland show in ranch horse versatility competitions, cuttings, and ranch rodeos. Whenever I see Shaun he is mounted on a good horse that is solid in every way. 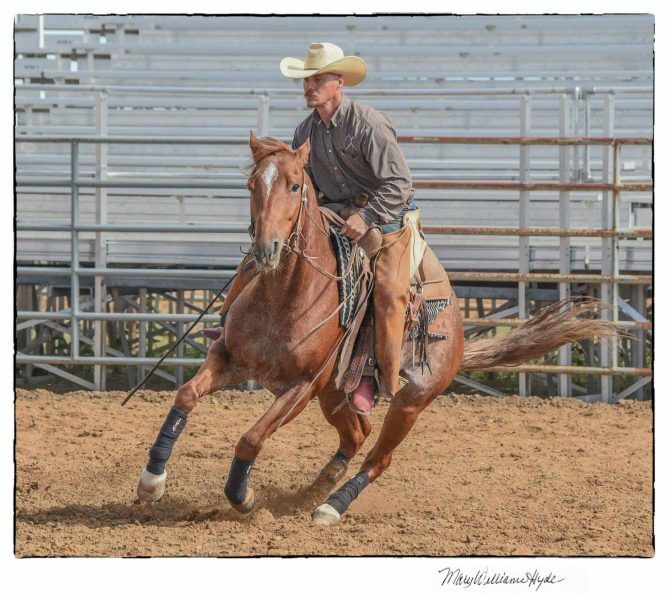 It is clear to see that Shaun Strickland’s horses have had the necessary ranch work with a lot of miles that builds the horse’s confidence and gives them a sound mind. Then they also have the finishing touches that make them light in the face, nimble, and athletic horses that can stop and turn on a dime. SS: I was raised in southwest Texas. I was fortunate enough to be able to ride from a young age on my grandparents ranch. My grandmother is the one who instilled the passion for horses in my heart. My grandmother and dad made sure every time I was on a horse whether it was gathering cows or a pack trip in the mountains, it was made fun!! I never really knew my great grandfather, but I was told he was a great horseman and mule man. My grandmother says it has passed on to me. My passion grew as a youngster because of great leadership from from again my grandmother and dad. We didn’t have fancy horses. We just had broke ones that would tolerate what we needed. As I got older my passion kept growing to make better horses, but I really didn’t know how. I also wanted to be a good cowboy. Later down the road, I went to full time cowboying on several different ranches. On those ranches, I was the colt starter aka the guy who could ride a bronc. 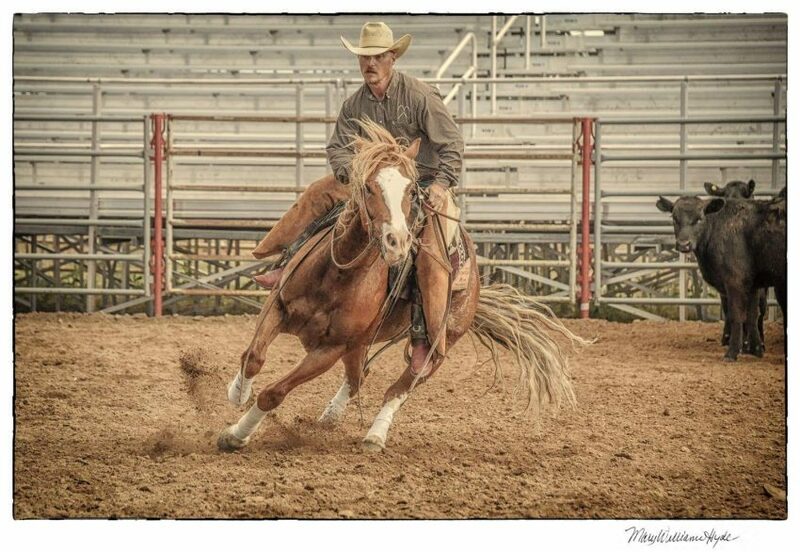 After riding so many colts that bucked, I thought there has to be a better way and that’s when I decided to try to become a better horseman instead of just a good bronc rider. I truly believe I ruined more good horses trying to become a better horseman, but it’s those horses that I learned the most from. As far as today goes, I’m still trying to become a better horseman. I click the best with young horses because they are a little more forgiving and crave to learn. The older horses are fun to work with too, but they put you in check and are a little less forgiving if you make a mistake. They make you think before you act and require more patience and respect. SS: As far as training goes, all our two year olds are started under saddle in the round pen for maybe 5 days, then it’s outside we go. I believe outside in a long trot is where those colts learn the most. I’m not pulling on there face, they are on a loose rein, they are getting a wet saddle pad, and they are learning to pick there feet up on rough ground. I will do this for about 30 days. After that, if I have one colt that is showing that he is craving more, then we will go to the cutting pen to do some refining work and see if it is really what HE wants. As for the other colts they will be turned out until the spring of there three year old year and started back up again then with a small job. All the colts will go to the wagon with the older horses and be held to the same standards as the older horses. What I mean is, they have to be held in the ropes and respect the ropes when we are calling for our daily mounts and roping them out. These colts, after the wagon, are more laid back and dang sure have a respect for older horses and ropes for sure. As far as the older horses, whether they are just a ranch horse or one of our top show horses they all go to work and keep a job. 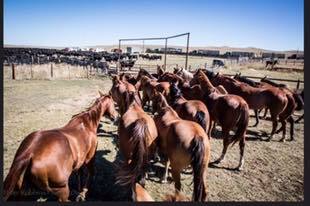 We turn all our horses out together in a horse pasture of about 1,000 acres and they are gathered everyday and sorted to what we need that day weather for a big job or just to work a couple colts. The rest are turned right back out. My focus during training or using them for a job is to keep there MIND busy!!!! Once the horse has done what I’ve asked I quickly release them from the job or the training move and then let them think for themselves and have a good mental break. The more good mental breaks I can give one during training or working the better it is for me and the horse, but make no mistake I make them earn that break. After a while, those young ones catch on. They really start to give you what you want quicker and it gets easier to achieve that break they want. It’s just working together to achieve less work for more results. CS: What do you look in for a horse? SS: I just want a horse that wants to work and is willing to put up with me. I don’t care about color, but I do care about blood. I love a good cow bred horse, anyone who says you can’t ride papers hasn’t ridden enough good cow bred horses! That is going to open a can of worms, but I don’t care. Don’t get me wrong, I have had some great grade horses that could hold there own, but I have a lot more good papered cow horses! 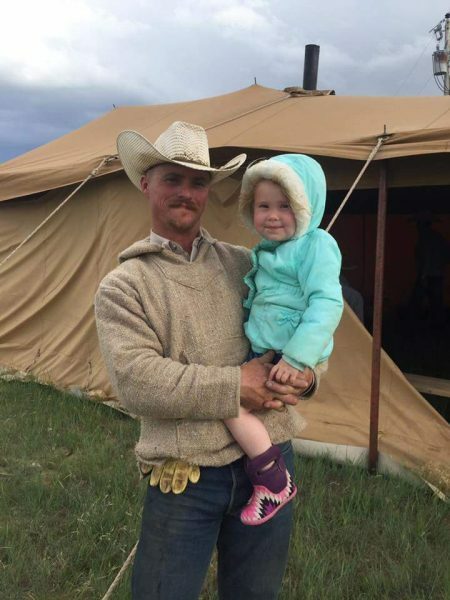 CS: What are your future plans with your ranch and your remuda? SS: Our future plans, I would like to keep making nice horses and keep getting them in the public’s hands once they are ready to go that direction. I love to sell a good horse to a new home and to hear that they love their new horse and how broke he is. That’s a biggie for me. Other future plans include the NCHA futurity this year and my wife running at barrel racing futurities. As far as the ranch goes, we want to continue to grow this operation with a quality beef product that goes on America’s table and use a good quality horse to get that job done! I owe my success to the Lord Jesus for blessing me with every opportunity in this horse and cattle industry. 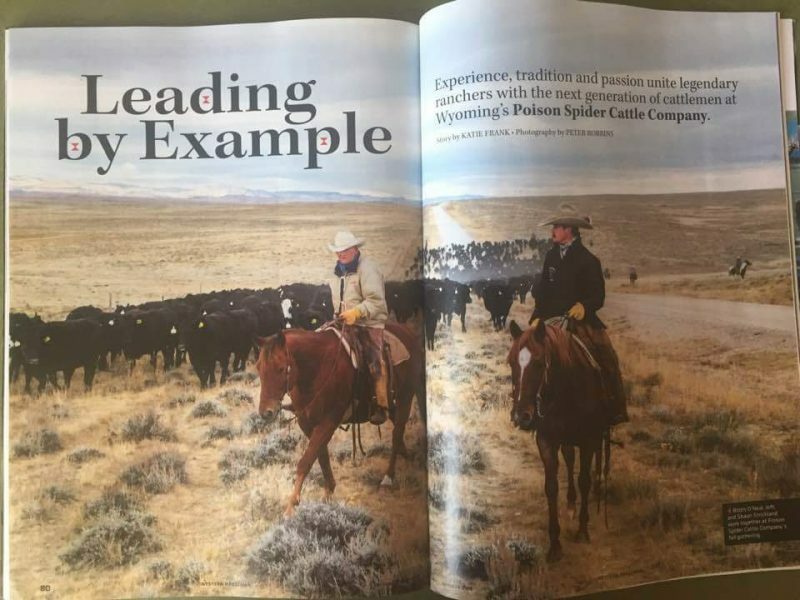 Poison Spider Ranch was featured in Western Horseman and there is a neat video that they did too. 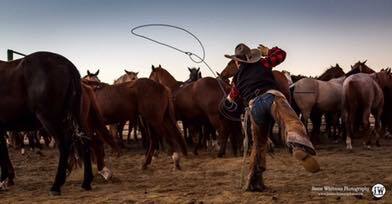 Last year we added a ranch horse competition to our event the WYO WILD RANCH RODEO, and it was Shaun Strickland that helped make it happen. Shaun was so kind to help get the event rules, pattern, and score cards all in place. It was great to have his help and now it will always be part of our event. 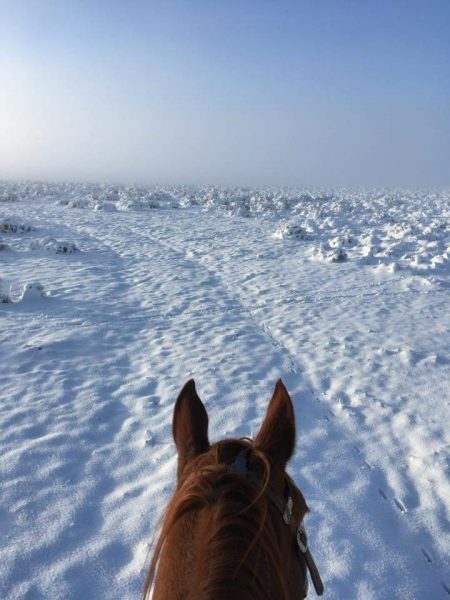 Shaun Strickland is out there working with his horses and all his hard work is really paying off! Exciting news for Shaun Strickland and Metallic Bourbon!